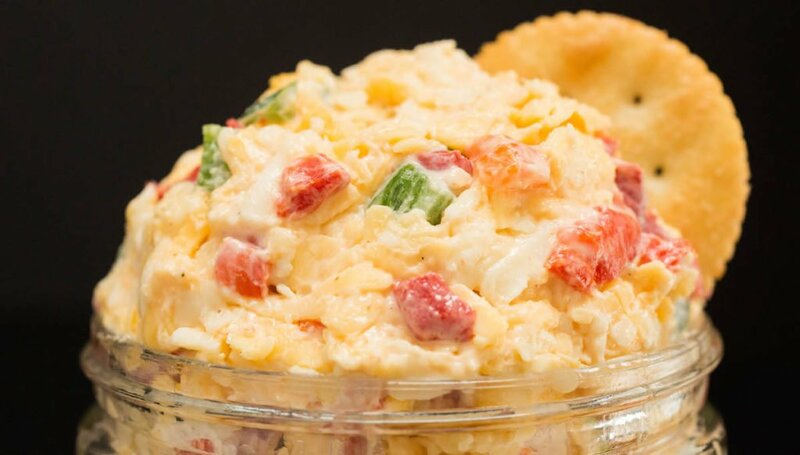 Pimento cheese is a treasured Southern dish. It is sometimes referred to as “the pâté of the South”. The base of the recipe is pretty simple – shredded cheese is combined with mayo and diced pimentos. Everyone has their own little variation though – some people use different types of cheese, add spices, or even bread and butter pickles (yuck!). My recipe, the one I’m sharing with you today, includes diced jalapenos, white pepper, and celery salt. My personal favorite cheeses for this dish are sharp cheddar and extra sharp white cheddar. It is best to buy block cheese and shred it yourself. Store bought shredded cheese is full of preservatives that alter the taste. Tillamook makes an excellent version of both cheddars. What goes with pimento cheese? You can add it to virtually any dish you would use cheddar cheese in: pimento cheese burgers, pimento cheese grits, pimento grilled cheese, pimento queso…the possibilities are endless! What is a pimento cheese sandwich? One of the simplest and most popular ways to serve pimento cheese is in a sandwich. Traditionally, white bread is used and the only condiment is mayo. 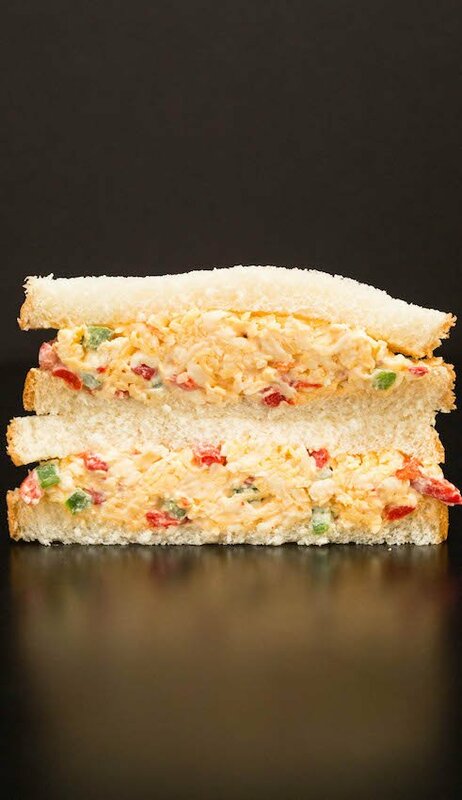 The pimento cheese sandwich is undoubtedly the most popular item at the Master’s golf tournament in Georgia. I think pimento cheese is one of those recipes that gets better a day or two after you make it. 24-48 hours gives all those ingredients and flavors a chance to meld together and really become something phenomenal. But you know I can never wait and always sample some the first day I make it. ? How long does pimento cheese last? Can you freeze it? Pimento cheese should last at least a week when stored in an airtight container and refrigerated. Unfortunately, pimento cheese does not freeze well. Add all ingredients in a large bowl, stir until well combined. Serve as a sandwich between 2 slices of white bread, or serve as a dip with crackers or vegetables. Store in an airtight container in the refrigerator up to one week. Sounds good but I don’t know how to save it! I absolutely love pimento cheese! We like to make them at home when we’re watching the Masters. I also love it just spread onto pieces of crusty baguette. Can’t wait to try your recipe! 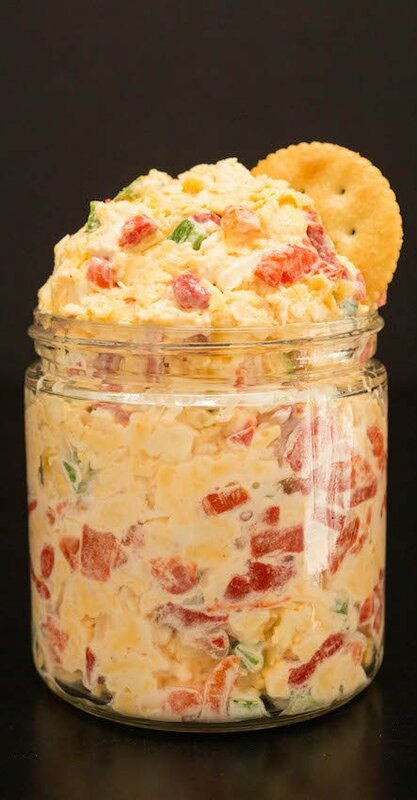 I don’t think I have ever tried pimento cheese but it sounds wonderful! Love a good dip! Pimento Cheese is my favorite! I love that you add celery salt and jalapeños. YUMMMMMMM! This looks killer. I would take this over pate any day. This dip looks spectacular. Such a classic crowd-pleaser – great recipe! This would disappear so fast at a game-watching party!! It looks really delicious! will be a great addition for a party! Oh my! I could eat this entire cheesy goodness all by myself. Pinning for later! Also, pimento cheese is delicious baked with tortilla chips or ritz crackers. Coming from the Southwestern corner of Kentucky, I ADORE pimento cheese. Ritz, saltines, celery…all great. But my all time favorite is just slathered on fresh soft white bread!! Adding the jalapenos intrigues me. May just have to try it. By the way, my daddy taught me how to make it and I prefer American cheese to cheddar. Happy Eating everyone and thanks to Janica for sharing her secrets!! Were canned pimientos used for this recipe? Fresh jalapeños? Jarred pimentos and yes, fresh jalapenos. Sounds great. I want to try it but what is Vinegar based Hot Sauce? Can I use regular jarred Hot Sauce? You can use any kind of hot sauce you’d like, but I think a classic vinegar-based adds the best flavor to this dish. My personal favorite brand would be Louisianna Hot Sauce. Pimento cheese or pimenter cheese as we call it here in the hills of Tennessee, is the best. I love how people are referring to it as a dip lol…never heard it referenced as that. As we eat it on everything as a spread not a dip. Yes! Is wonderful, you can add a tiny bit of shredded onion too for a little zip. The white cheddar really makes this recipe! 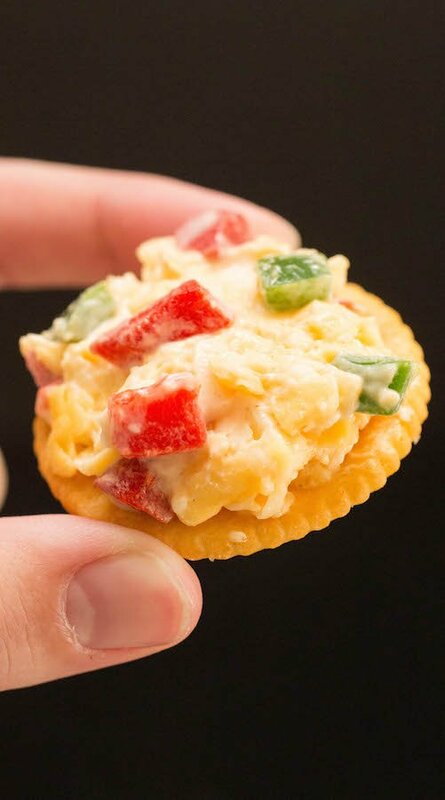 For a sweet twist serve red pepper jelly with the pimento cheese and crackers. Its a great combination! Has anyone tried this as a grilled cheese sandwich? This is very good as grilled cheese. Also adding thin sliced ham with this is very good.